I've been hearing lots of good news surrounding this new and trendy restaurant Black Sheep Cafe, and decided to check them out with my friend for lunch the other day. We went on a normal weekday at noon, so they weren't super busy, though the service wasn't exceptionally fast. I loved the rustic interior, natural lighting and wood paneling, which really added to the Southwestern feel of the restaurant. I can't even remember the last time that I had a Navajo taco, but I can definitely guarantee it was nowhere near the level of this one! The frybread was crisp and savory, but not loaded down with grease or heavy at all - probably the most delicious piece of fried food I've had in a very long time! And I loved the sweet spicy green chile pork on top of the taco, which was full of huge chucks of juicy pork and loaded with flavor. There was just the right amount of chopped tomato and cream to balance the whole thing, and even though it was more than filling, I forced myself to eat every last bite because it tasted so good. 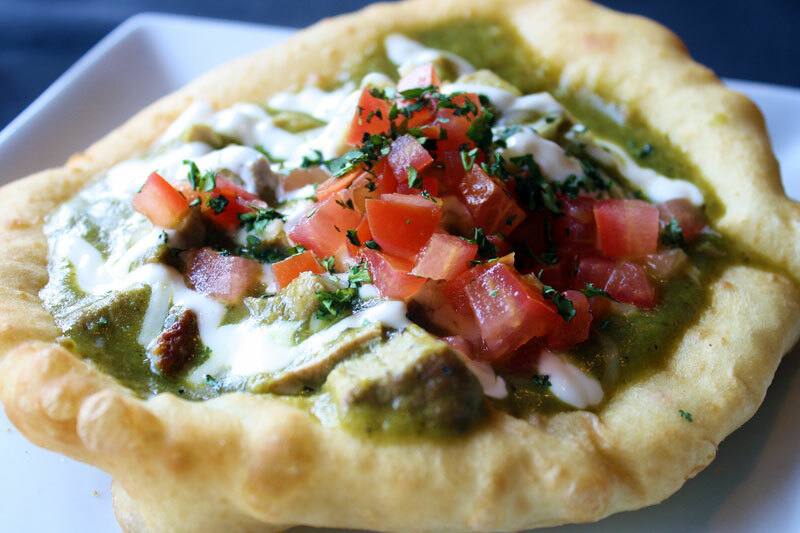 The one thing I did regret was that since there was so much chile verde topping on the taco, it kind of made the frybread less crisp in the middle towards the end of my meal, so I think next time I would try one of their Navajo tacos with a less liquid topping. Next up, the Bleu Burger. If it was a little cheaper, it would easily climb the list of my favorite burgers! The beef patty was so thick and juicy, bursting with fresh flavor and tenderness. There was just the right amount of blue cheese on top to give it a nice bite, and was paired with savory bacon, caramelized onions, and fresh mixed greens. I was a little confused as to how a burger fit into the whole Southwestern theme, but served in this unique flatbread wrap, it somehow seemed just right. I really loved the flavor of the sweet potato fries - and the fact that they were actually made with sweet potatoes, not yams (unlike many other alleged "sweet potato" fries)! They weren't as fried or crisp as many people are probably used to, but I thought that they were a perfect balance to this intensely flavorful burger. What You Should Do: Though it is a little pricier than your typical burger or taco, it is definitely worth it! 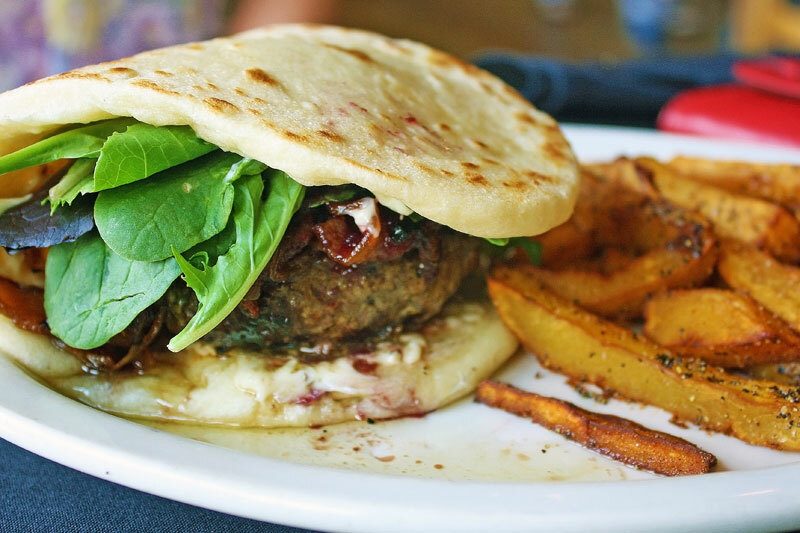 Black Sheep Cafe manages to manipulate familiar flavors into new and exciting entrées, and I can't wait to take Owen here so he can experience it. The only tough decision will be choosing between the heavenly fried Navajo tacos or the succulent and scrumptious burgers! Who would have thought Southwestern style burgers would be so amazing?